Want a competitive but fun team building activity? 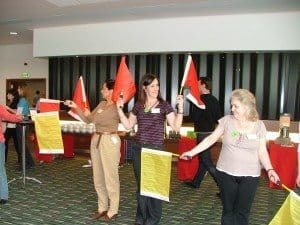 Are you looking for a fun but competitive team building activity that you could run after a conference or as an energiser? Well look no further than our Beat the Clock team building activity! This great team building event is suitable for large groups from 25-500 people and incorporates over 150 different mini challenges where teams are competing against the clock in order to get the most points. All members of the team can get involved as there are a range of challenges to suit different skill sets. Challenges are split into 3 main categories: creative, technical and problem solving. 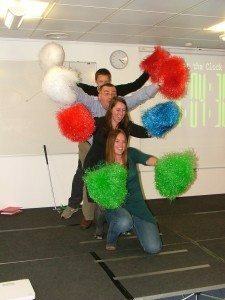 So if you only have a small time frame but want to maximise the most of it with a team building event then beat the clock is for you! We also have a wide range of other team building events including corporate cooking, cab clue trails, circus skills and multi activity days. For more information on how we can help you with your team building event please contact us on 01227 738280. Festive Frolics in the Kitchen!